This smart widget can be useful for students at school. However, the number of use cases can be more. Add this to your JotForm and decide which scale to convert from and to, either Radians to Degrees or Degrees to Radians. 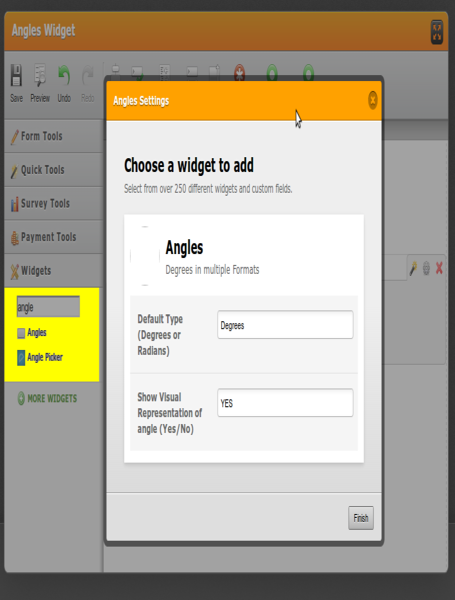 The widget can even show you a small graphic for the angle, simply set "YES" at the "Show Visual Representation of Angle" option and you are done!